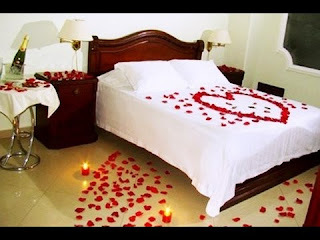 Are you an original person? 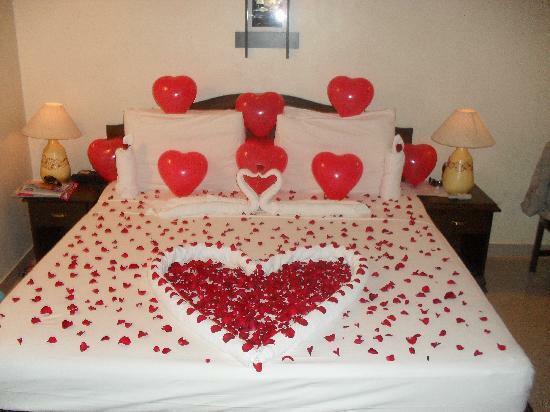 Are you a person who likes to surprise the person you love? Are you a person who likes to give unforgettable experiences ?... this Valentine's Day is the perfect opportunity to be one. It is not about giving the usual and classic gift during the celebration, but it's about surprising the person you love with a romantically decorated bedroom, below you are going to find some ideas that will be really useful. 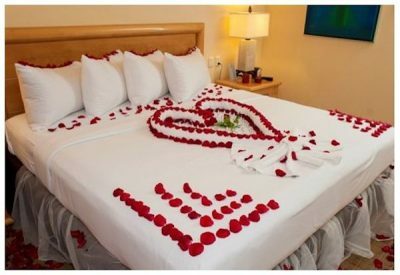 This first image shows us a bed with white sheets and a big heart of red flowers in silhouette, inside there is a tray with two glasses and a mysterious booklet, this could contain perhaps ... from air tickets, to a marriage proposal. In this other image we have a bed with white sheets decorated with red heart-shaped balloons, two white swans facing each other and another heart filled with red rose petals. 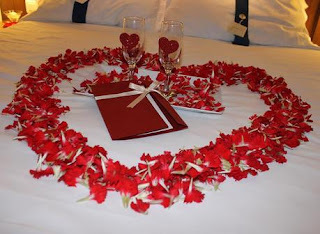 Again there is the heart with petals in the central part, an ornament its base and in the corners of the bed, red petals. 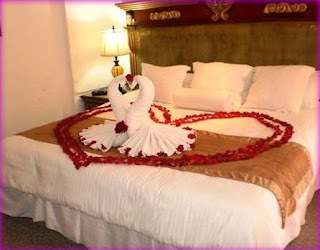 A romantic decoration with a couple of swans inside a big heart in silhouette formed by red petals. 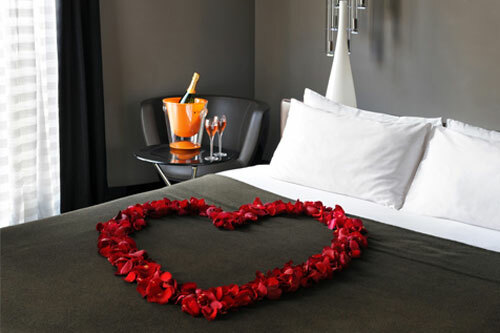 The perfect complements for a romantic date, candles, white sheets, red petals and a bottle of champagne. 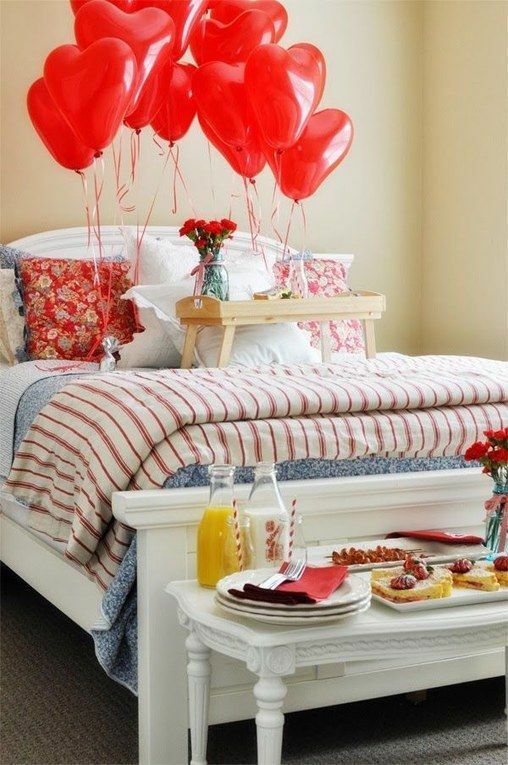 A beautiful surprise with a romantic breakfast and a series of red heart-shaped balloons. 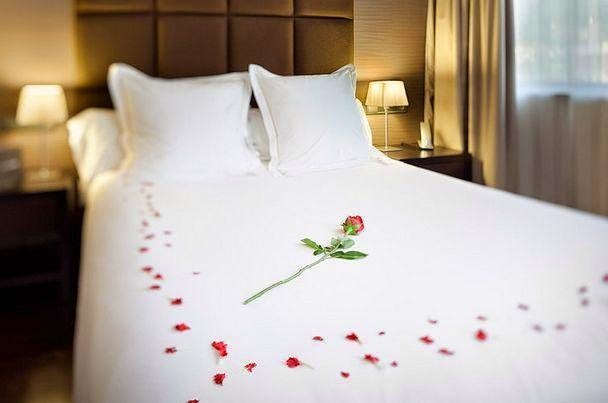 In this image we have a great example of simplicity and romanticism, some red petals and a rose in the corner. Finally, we have a heart with red rose petals, a gift and the bottle of champagne.